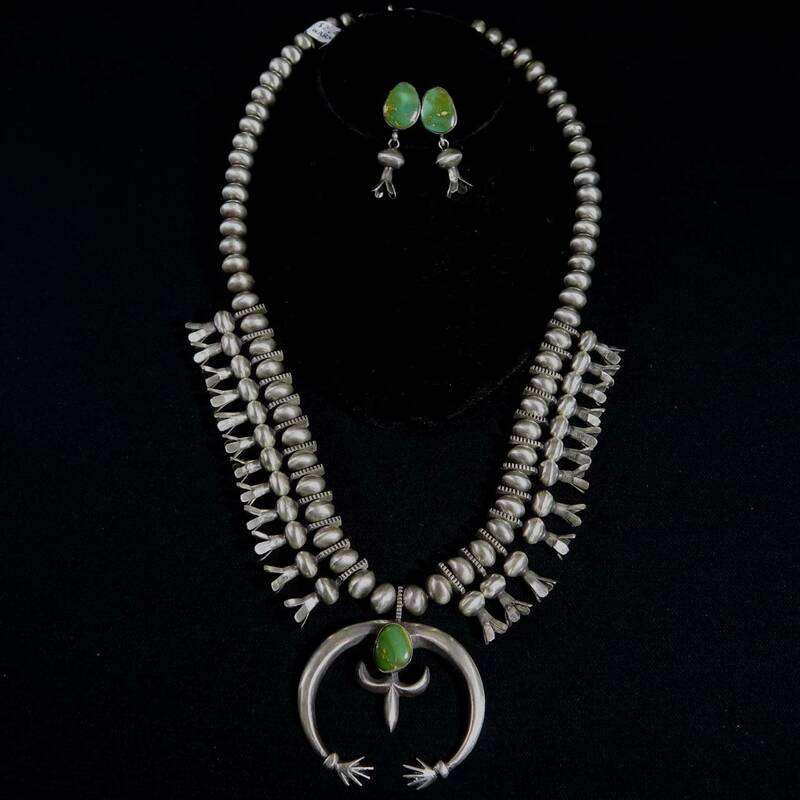 Selena Warner is a Navajo silversmith from Gallup, New Mexico. She has been improving her craft for about twenty years. It is obvious that her multi-colored necklaces and multi-stones are appealing to her and collectors. She uses feminine stones such as spiny oyster shell, lapis, coral, and turquoise. She uses a blend of traditional and contemporary techniques in her pieces. This is a green turquoise squash blossom necklace. She rolls out and shapes her own Navajo pearls and blossoms with large clasp for closure. 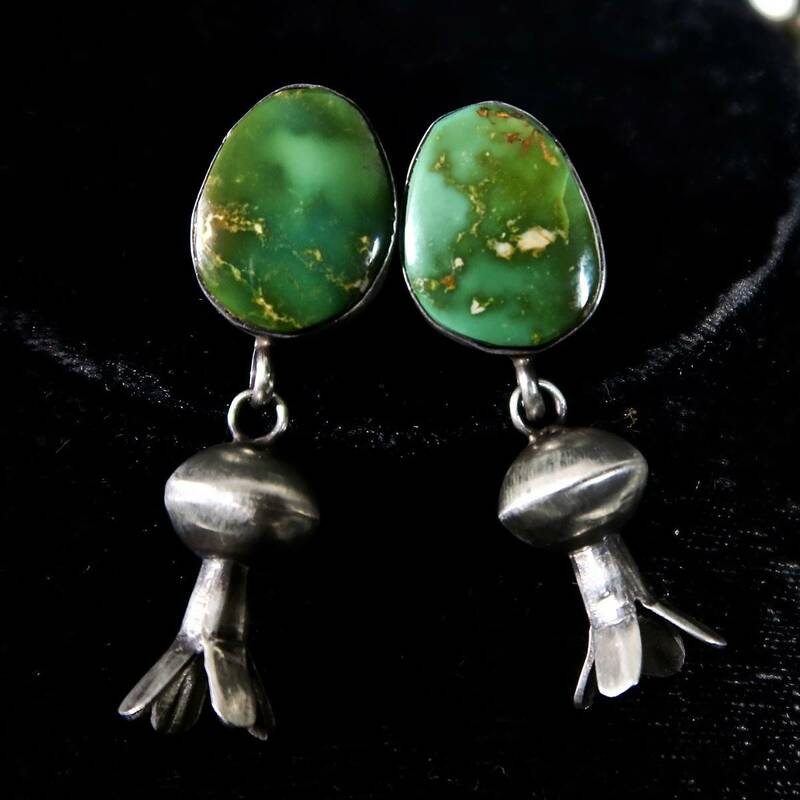 The earrings have two large green turquoise stones with post and blossoms dangling. The set has a medium/soft oxidized look to give it a vintage touch. A gorgeous set to add to your collection.